Canberra does things a little differently to other parts of Australia when it comes to power. For starters, electricity prices are regulated – which means the government determines exactly what you pay (fitting for a city full of politicians and bureaucrats). Regulation certainly has its benefits, however, as customers in the ACT generally pay less than households in most other parts. But the downside to regulation is that only a few electricity retailers want to operate in the ACT, so customers are fairly limited in their options. But that’s not to say you can’t save by shopping around and being energy savvy. In this article, Canstar Blue discusses everything you need to know to find a great deal on electricity in the ACT. While there are other options, ActewAGL supplies the vast majority of residential electricity customers in the ACT and surrounding areas. However, with increased competition from Origin Energy and EnergyAustralia in particular – plus more to come (potentially) in the future – it’s important to regularly compare offers to make sure you’re getting a good deal. Just because the government sets a maximum price for power, doesn’t mean you can’t find cheaper! Here are some of the cheapest published deals from the retailers on our database for the ACT. These costs are based on a typical three-person household living at a selected postcode in Canberra, but these prices will vary depending on your own circumstances. We show one product per retailer, listed in order of price. Use our comparison tool for a specific comparison in your area. This table includes featured products from referral partners. Our database may not cover all deals available in your area, and please check retailer websites for up to date information. ActewAGL is a joint-venture between the ACT government and AGL – one of Australia’s largest energy companies. 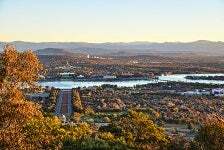 ActewAGL dominates the ACT residential market, with a market share of around 90%. 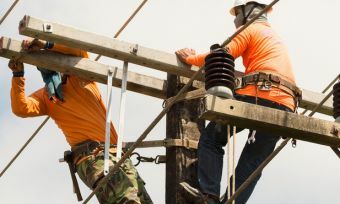 ActewAGL is also associated with EvoEnergy, which is the energy distributor for the majority of the territory, responsible for maintaining the poles, wires, meters and all other components that make it possible to deliver power to your home. ActewAGL has two residential market offers. The first includes a 12% discount on electricity usage charges for new customers for the first 12 months after signing up. The second product comes with a larger 20% discount on usage charges, however customers must pay their bills using direct debit. Energy Locals offers Canberrans three unique market deals: Simple Saver, Member Promise 2020 and Solar Promise 2020. Now a major electricity retailer in NSW, Red Energy offers a single market offer in the ACT. The ‘Easy Saver’ comes with a 10% pay on time discount applied to the whole bill. The discount is ongoing. Unfortunately Red Energy does not currently offer its Qantas Frequent Flyer products in the Canberra area. Power Club is a new breed of energy retailer, claiming access to wholesale electricity prices at the cost of an annual membership fee of $39. “You can’t buy better than wholesale,” Power Club says. To avoid paying excessively high rates when spot wholesale prices jump, customers also have a ‘Powerbank’ from which they are charged instead. This bank is then replenished when wholesale rates are low. While Simply Energy is technically available to ACT residents, it is only for customers who sign up to the ACT government’s Next Generation Energy Storage Program (NextGen). Under this program, customers receive discounted electricity storage as part of a trial of Reposit technology. Reposit allows customers to use their batteries for Demand Management, exporting electricity from their batteries when demand is high to stabilise the grid. Electricity prices in Canberra and the ACT are government-regulated, meaning that a regulator sets the maximum price electricity companies are allowed to charge their customers. Retailers are, however, still allowed to offer cheaper ‘market offers’ which may include discounts and other sign-up incentives. The cheapest electricity product from each retailer in the ACT on our database is displayed below. Prices assume typical energy usage for a three-person household and that the customer meets all requirements necessary to receive any conditional discounts. These prices are based on a specific postcode, so use our energy comparison tool above for a quote where you live. Our database may not cover all deals available in your area, and please check retailer websites for up to date information. Prices based on the EvoEnergy electricity distribution network, postcode 2600, April 2019. One product per retailer shown. As you can see, there is not much difference between the cheapest and most expensive energy products. With that said, you would of course prefer that money in your account rather than your energy company’s. It’s also interesting to note that some of those big discount plans mentioned above don’t register in the table of cheapest deals. In some cases, retailers make their no discount plans even cheaper than their products claiming big savings! Once again, the prices listed are indicative of a standard household on the ACT network and may not reflect your own circumstance. To find the cheapest retailer for you, be sure to use Canstar Blue’s price comparison tool above. Additional discounts may be available to customers who also purchase gas through the same energy company. Keep in mind that discounts sometimes don’t tell the whole story – deals with seemingly generous discounts can mask higher rates, potentially costing you more. This is why it’s important to closely review Energy Price Fact Sheets before signing up to a new energy deal. Latest figures from the Australian Energy Regular (AER) show that just 21% of households in the ACT are on a market electricity contract, meaning 79% remain on standard regulated contracts. Chances are that these people could save by switching to a market offer that best meets their needs. If you’re interested, see how these prices compare to those in NSW. Source: Canstar Blue electricity database/respective retailer websites, April 2019. Although prices are regulated in the ACT, households in Canberra can still choose their electricity tariff, provided they have a suitable meter installed. An electricity tariff refers to how customers are charged for power. You could pay the same rate for all your electricity usage (single rate), or pay different rates for different levels of usage (block rate). You could also pay different electricity rates depending on the time of day (time of use tariff). Choosing the right tariff for your specific energy usage habits is crucial to getting the best deal possible. ActewAGL, EnergyAustralia, Energy Locals and Origin Energy all offer these tariffs. They also have a controlled load option, which charges customers a low rate for high-use appliances (such as hot water) on dedicated networks. Everything we have just told you is pretty pointless if you’re not sure how to make heads or tails from your electricity bill. 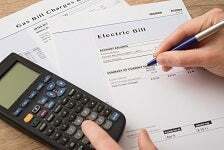 Your standard residential electricity bill is comprised of usage charges and supply charges. Usage charges: Also known as demand charges, these charges refer to the cost of the electricity you’ve used. Think of it as the actual cost for using an appliance. Usage charges depend on your electricity tariff, described earlier. Supply charges: A supply charge is a fixed daily fee that’s added to your bill to cover the cost of transporting the electricity to your home. Supply charges are incurred regardless of how much power you use, if any. Supply charges in Canberra are usually between 80c/day and $1.20/day. As a general rule of thumb, low usage households should look for low daily supply charges, as these will make up a higher proportion of overall costs. Households that use lots of power will likely be better off looking for low usage rates, as these will inevitably make up a higher proportion of their overall costs. Each retailer is required by law to publish ‘Energy Price Fact Sheets’, disclosing electricity rates, fees and key contract conditions. Be sure to read the Energy Price Fact Sheet before signing up to an energy deal. If you’re not sure what to look for, check out our article on how to read Energy Price Fact Sheets. Which energy provider is the best bet in Canberra? ActewAGL is undeniably the biggest electricity provider in Canberra. This may be because it offers great prices and service, or it could simply be that many ACT residents simply don’t realise they now have other options to switch to. After all, the AER reported that ActewAGL was the third most complained about residential electricity retailer in the ACT, receiving twice as many complaints as EnergyAustralia. Because electricity prices in the ACT are regulated, there probably won’t be much difference in price between Origin, ActewAGL, Energy Locals, EnergyAustralia and Red Energy. That said, there’s no reason to pay more for electricity than you have to, or accept inferior customer service. With only a few options to choose from, it won’t be too difficult to work out which is cheapest. Check out the link below for more guides on finding a great deal on energy. *Costs based on annual usage calculations using statistics from AER for a three person household on the EvoEnergy network in Canberra, April 2019. For more information on annual cost calculations please click here.